In each of Brad Stevens’ first five years as the head coach of the Boston Celtics, the team has seen their win total increase which included making the Eastern Conference Finals in each of the last two seasons. And after falling one game short of making the NBA Finals last season, the Celtics were expected to not only get there, but possibly add another championship banner to TD Garden. However through 56 games this season the journey has not been as smooth as it was expected to be. Boston is 35-21 which has them in third place in the Atlantic Division, while they are fifth overall in the Eastern Conference. And with the NBA’s All-Star break right around the corner, if ever there was a team that needed the time off to refocus, it is these Celtics. Coming into this season the bar was set so high for the Celtics due to the fact that they made the Eastern Conference Finals last year in spite of not having the two players who were expected to be their top go-to options. Small forward Gordon Hayward was the Celtics big free agent signing in 2017, but a fractured ankle in Boston’s season opener ended the season for him. Point guard Kyrie Irving was another acquisition for the Celtics that summer, but a knee injury would force him to miss the playoffs. And the absence of both Irving and Hayward allowed a pair of youngsters in small forwards Jayson Tatum and Jaylen Brown to step to the forefront as along with veteran center Al Horford, they would carry Boston. And even though that all of these players have been available for the Celtics this season, there is an obvious lack in chemistry for this squad. Boston’s season has been mired by questionable losses which includes coming up short versus the likes of the Orlando Magic, New York Knicks, and Phoenix Suns. The Celtics are still one of the top defensive teams in the NBA as they are fifth in points allowed per contest (106.5), while they were third last season. But the biggest issues for the C’s have been not knowing whether or not that Irving will be a part of the team next season as he is set to become an unrestricted free agent next summer, while they’ve yet to find their identity, or go-to-guy in the clutch. All signs point to Irving being the finisher for the C’s, but what are the roles for the other players on this team? Hayward is in the midst of having one of the worst seasons of his career which has led to him coming off of the Celtics bench. Hayward is only averaging 10.8 points per game as it takes more than one year for a player to return to form after suffering the severe injury that he did. And in the case of Tatum, Brown, and Horford, as well as power forward Marcus Morris, they need to get on the same page as Irving, as he needs to be with them as well. But at the end of the day, Stevens is not properly utilizing the talent that he has. Like most of the NBA, the Celtics have become enamored by taking the three-point shot as everyone is attempting to be the Golden State Warriors. But the Celtics do not have the sharpshooters from long rang that the Warriors have and it is showing. This season the Celtics are attempting 35.3 shot per game from beyond the three-point arc, but they are only making 13.1 of those attempts. And even though that the Celtics three-point percentage per game of 37% is sixth in the NBA, that is not their bread and butter. Tatum and Brown are at their best when they are getting to the basket, while Tatum’s ability to score in the post is improving. Horford is a versatile big man who knows how to play the role of point forward, while Morris can do a little bit of everything at both ends of the floor. Boston should be taking a page out of the San Antonio Spurs offense of ball movement instead of settling for isolation ball and three-point shots like they have been this season. The proof is in the pudding for this as the Celtics were rightfully booed off of their home court this past Saturday night after blowing a 28-point lead to the Los Angeles Clippers which came on the heels of losing at home to the Los Angeles Lakers at the buzzer this past Thursday. These were the situations that the Celtics were not in last season as they always found a way to seize the moment late in games as they were one of the most mentally tough teams in the NBA, but the time is now for them to wake up. 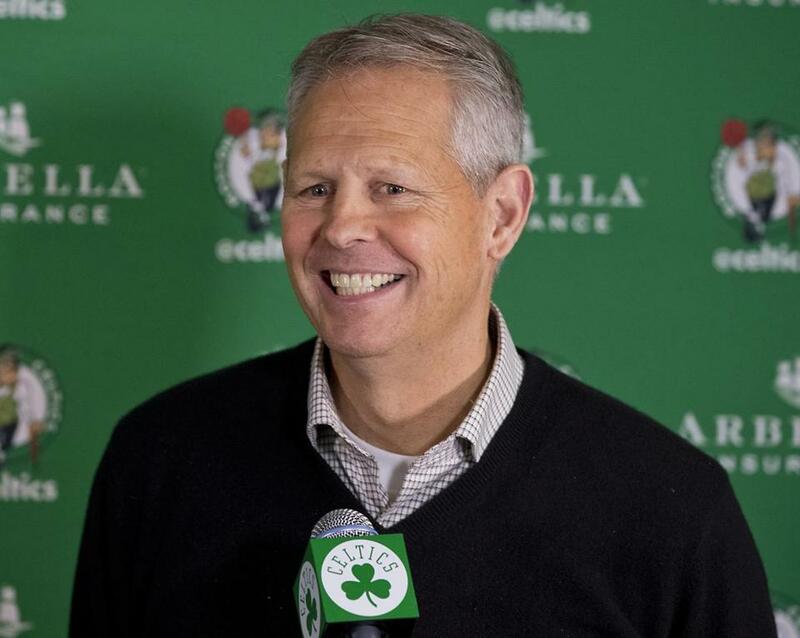 Celtics president of basketball operations Danny Ainge stood pat at the trade deadline last week after he could not get power forward Anthony Davis from the New Orleans Pelicans, but the same could not be said about the Milwaukee Bucks, Toronto Raptors, and Philadelphia 76ers who all made moves to boost their chances to win the Eastern Conference. And as these will be the teams that the Celtics will be competing with in order to win the Eastern Conference, they will need to get their act together, and in a hurry because an anticipated lengthy run at the NBA Championship this spring could result in a very short stay in the playoffs if they are not careful.